I just found out that I am losing a very important member of my team—my Estimator/Project Manager. Not only is it upsetting, but it also means that I can waste no time in finding his replacement. 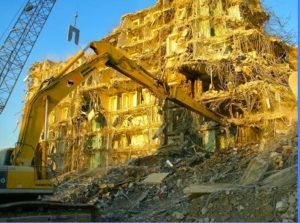 We do large scale demolition and environmental abatement. Over the last 35 years we have demolished or done environmental service on more than 8,000 factories, hospitals, office buildings, hotels, sports facilities, educational facilities and commercial institutions. Will be able to adapt to both estimating and project managing. I’ll pay you well and provide a healthy benefit package.